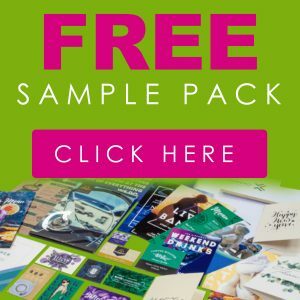 Our 37mm square stickers are perfect for sealing envelopes, popping into packages, or as nifty guerrilla marketing materials. Measuring 37mm x 37mm they’re an ideal size for so many different uses. 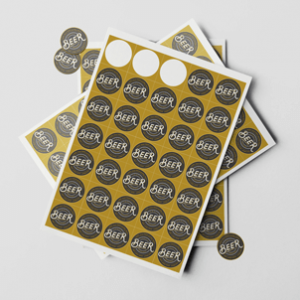 Stickers are printed on 190gsm silk stock, making them flexible yet durable. Ideal for your company logo or a short message, these stickers are supplied on A4 sheets and sent via Royal Mail Second Class post. 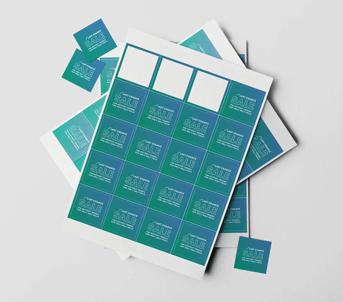 37mm square stickers come on A4 sheets with 24 stickers per sheet. 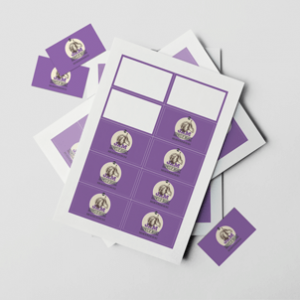 For example, if you order 100 stickers, you will receive 100 stickers on 5 sheets.